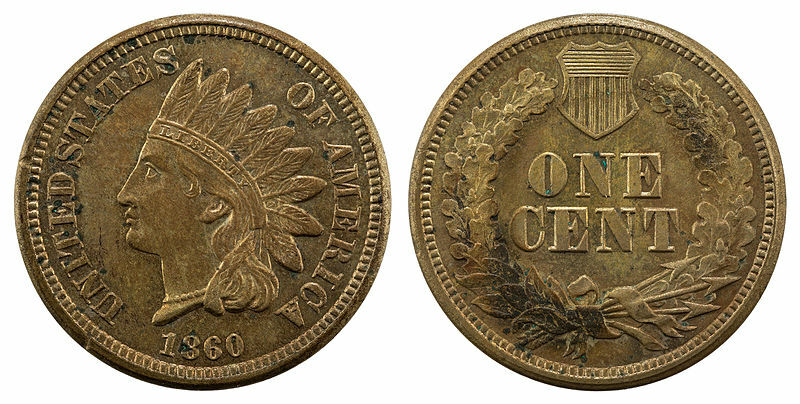 The Indian Head Cents, as coins, were considered as being one of the most popular 19th-century American series amongst collectors. 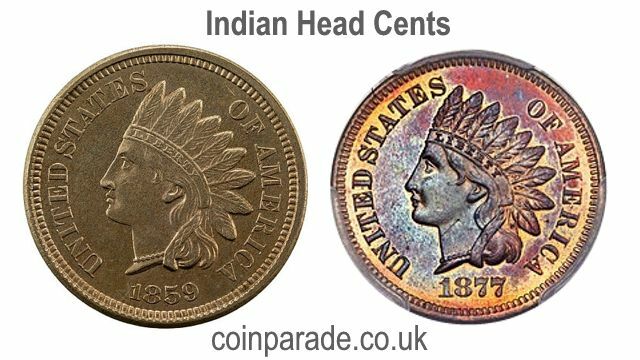 Commonly referred to as the Indian Penny, the Indian Head Cents were officially introduced on the 1st of January, 1859. These coins were generated by the US Mint located at Philadelphia from 1859 to 1909 and then at the San Francisco Mint between 1908 and 1909. Having been the ingenuity of James Barton Longacre, the chief engraver of the Philadelphia Mint, one would observe the phrase “UNITED STATES OF AMERICA”, the head of Liberty capped with a feathered head gear typical of a Native American and the year of production gracing the obverse side of this coin. As mandated by the American law, the word “Liberty” is inscribed on the band of the feathered head gear. 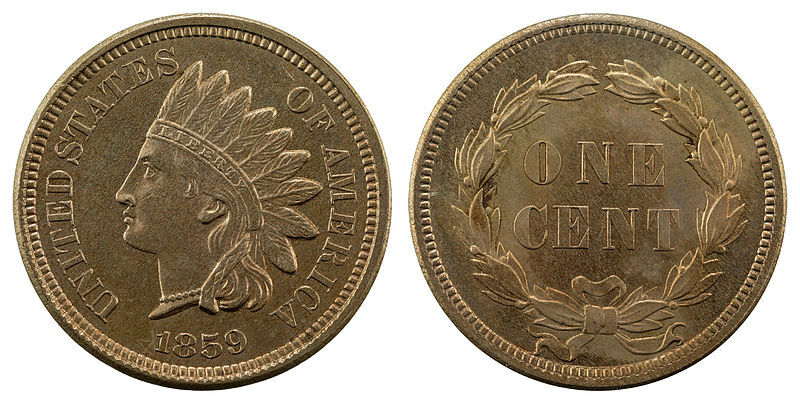 Between 1859 and 1864, the Indian Head Cents which had been minted were composed of 88% copper and a mere 12% of nickel. Introduced two years after the production of the Flying Eagle Cents, which were difficult to mint, the initial production problems experienced heralded some changes in this particular coin series. After more than 60 years of production of the large copper cent, the new format favored a smaller size cent which was composed of copper and nickel. Chief engraver Longacre not only sharpened the details of the portrait but graced the back of Liberty’s neck with his initial ‘L’ as well. This modified version of the Indian Head Cents series continued till the termination of the series in 1886. There were two designs which were used for the reverse of the Indian Head Cents series. While the one manufactured in 1859 featured “One Cent” inscribed within a laurel wreath, this was modified to a wreath of oak and olive in 1860. This alteration was a consequence of striking difficulties and the new wreath consisted of a knot of ribbon at its base flanked by a Federal Shield towards the top. Apart from a few modifications affected by William Barber in 1870, it was this design which graced the coins of this series till 1909 when they were discontinued. Although the last lot had the lowest mintage in terms of number of coins, it is the 1877 series which is believed to have been the scarcest. The Indian Head Cents series are not only a collector’s delight but also have great historical value. At the time of its circulation, this series was one of the few that the Americans had with which to conduct their transactions.